Over the last few weeks, I’ve been looking back at the music released during 2016. The final part of this annual series looks at the compilations released during 2016. Just like previous years, thousands of compilations were released during 2016. They cover literally every musical genre. Quite simply, there was something for everyone. It’s a similar case on the list of The Best Compilations Of 2016. It features fifty compilations that cover countless genres. Literally, everything from avant-garde to zydeco features on The Best Compilations Of 2016. These compilations were released by record companies in Britain, America and Europe. They’re also what I regard as The Best Compilations Of 2016. A Woman’s Way: The Complete Rozetta Johnson 1963-1975. Between 1963 and 1975 Southern Soul singer Rozetta Johnson struggled to make a breakthrough. By 1975, she had enjoyed just two minor hit singles. So with a heavy heart, Rozetta Johnson decided to turn her back on music. She returned to college and eventually, graduated with a BA in sociology. After graduating, Rozetta Johnston began work as a teacher at Ramsay High School. Little did the pupils know that their teacher had once been one of the best up-and-coming Southern Soul singers. 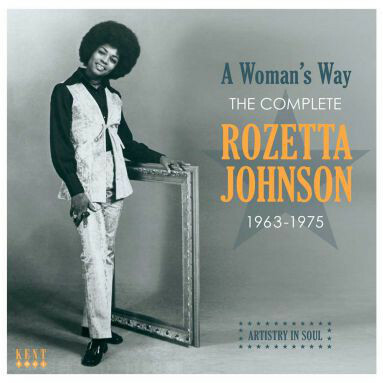 Proof of this is Kent Soul’s A Woman’s Way: The Complete Rozetta Johnson 1963-1975. It’s a comprehensive overview of Rozetta Johnson’s career. It features Rozetta Johnston at her very best as she breathes life, meaning and emotion into the songs. However, when they were released as singles, they failed to find an audience. Maybe it would’ve been different if they had been released on a major label? Then Rozetta Johnston’s music might have found the audience it deserved. Sadly, that wasn’t the case and Rozetta Johnson was lost to music. Later, she reinvented herself as a jazz singer, before returning to her first musical love, gospel. Sadly, three years after releasing a gospel album in 2008, Rozetta Johnson passed away on the 24th March 2011. Her music is remembered on A Woman’s Way: The Complete Rozetta Johnson 1963-1975, which is a celebration of one of the finest Southern Soul singers of her generation,..Rozetta Johnson. 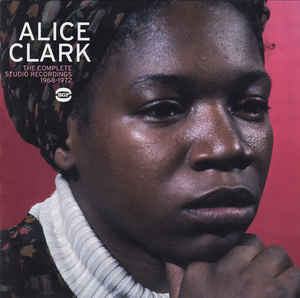 Alice Clark-The Complete Studio Recordings 1968-1972. Alice Clark’s career began in 1968, and was over by 1972. During that four year period, Alice Clark recorded just sixteen songs during three recording session. This includes two singles and her 1972 album Alice Clark. These songs feature on BGP’s The Complete Studio Recordings 1968-1972. It’s a mixture of beautiful ballads and uptempo songs. On each and every song, Alice breathes life and meaning into the lyrics. Her delivers veers between heartfelt, impassioned and soul-baring, to assured, hopeful and joyous. When Alice Clark stepped into a recording studio, she was transformed. No longer was Alice Clark the quietly spoken young mother that Billy Vera remembers. Suddenly, the God-fearing Alice Clark disappeared, and was replaced by one that wore her heart on her sleeve. She was comfortable sings songs about love and love lost, and could breath life and meaning into songs about hope, hurt, heartbreak and betrayal. Despite her ability and versatility, Alice Clark commercial success and critical acclaim eluded Alice Clark. Chastened by the experience, Alice Clark turned her back on the music industry. Nobody seems to know what happened to her? Mystery surrounds what happened to this hugely talented singer, who should’ve gone on to enjoy a long and successful career. Proof of this is The Complete Studio Recordings 1968-1972. It features one of soul music’s best kept secrets, and a singer who should’ve enjoyed commercial success and critical acclaim,..Alice Clark. For nearly two decades, the Hawaiian music industry was thriving. This period was documented on Strut Records’ compilation, Aloha Got Soul. It documents the period between 1979 and 1985. During that period, Tender Leaf. Aura, Aina, Hal Bradbury, Mike Lundy, Nova, Brother Noland and Rockwell Fukino were all stalwarts of the Hawaiian music industry. They were part of the Hawaii’s thriving music scene. Sadly, by the mid-eighties, DJ culture was born. Suddenly, DJs replaced live music. Incredibly, ‘music lovers’ preferred what was essentially a human jukebox to live music played by real musicians. Given there was no longer the same appetite for live music, many clubs closed their doors for the last time. No longer had up-and-coming artists a place to showcase their talents. It was the same for the bigger names in Hawaiian music as venues closed their doors. Everyone with Hawaiian music was affected. Record labels, recording studios, pressing plants suffered. So did arrangers, producers and songwriters. The Hawaiian music boom was over. Thirty years after the boom in the Hawaiian music industry ended, interest in Hawaiian music continues to grow. 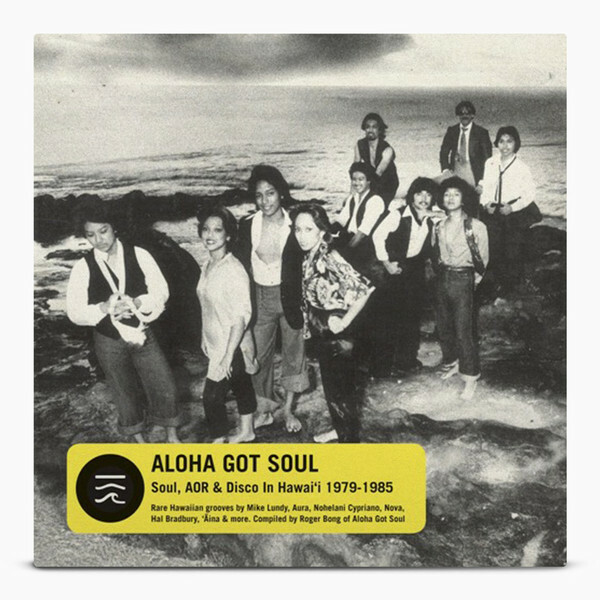 For newcomers to Hawaiian of the seventies and eighties, Aloha Got Soul is the perfect primer. It’s a truly eclectic and lovingly compiled compilation, from Aloha Got Soul’s Roger Bong. He picked sixteen tracks that feature everything from disco, funk, rock, soul and traditional Hawaiian music. Aloha Got Soul is a tantalising taste of Hawaiian during its golden era. Betty Harris’ recording career lasted just eight years. It began in 1962 with the release of Taking Care of Business, and was over by 1970. After just three minor hit singles, Betty Harris called time on her career. The Florida-born singer decided to retire from music, to raise a family. That was the last that was heard from Betty Harris until 2005, when she hit the comeback trail. By then, several of Betty Harris’ singles had found a new audience. I Don’t Want to Hear It and I’m Evil Tonight were favourites within Northern Soul circles. Meanwhile, ballads like What’d I Do Wrong and Can’t Last Much Longer were favourites within the deep soul community. Belatedly, Betty Harris’ music was finding a wider audience. However, there’s more to Betty Harris than four songs. That is apparent on the Soul Jazz Records compilation The Lost Queen Of New Orleans Soul. It shows the two sides to Betty Harris’ Sansu Records’ years. Ballads and uptempo tracks rub shoulders. This includes a couple of ballads that would later become deep soul classics, and several uptempo tracks that would find favour on the UK’s Northern Soul scene. These tracks are a reminder of the what proved to be the most productive years of Betty Harris’ career. 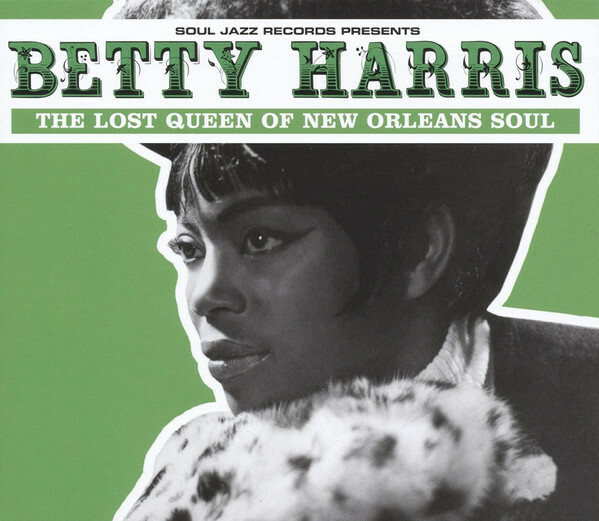 It’s documented on The Lost Queen Of New Orleans Soul is the perfect primer to Betty Harris, who is one of New Orleans’ soul music’s best kept secrets. Over the last few years, Ian Saddler has compiled the By The Bayou series. This included Bluesin’ By The Bayou-I’m Not Jivin’, the third compilation of Louisiana blues. It comes complete with side serving of zydeco. There’s contributions from Henry Gray, Lightnin’ Slim, Slim Harpo, Lazy Lester, Lonesome Sundown, Boozoo Chavis, Blue Charlie Morris, Jimmy Anderson, Chris Kenner and Johnny Sonnier. Many of these artists will be familiar to veterans of the By The Bayou series. There were a few surprises in store on Bluesin’ By The Bayou-I’m Not Jivin’. Bluesin’ By The Bayou-I’m Not Jivin’ was another tantalising taste of Louisiana’s rich musical heritage. Familiar faces from previous volumes of the By The Bayou series sit next to newcomers. 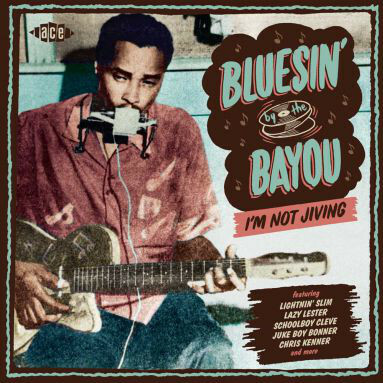 Similarly, singles, album tracks, unreleased tracks and hidden gems rub shoulders on Bluesin’ By The Bayou-I’m Not Jivin’. They’ve all one thing in common, their quality. That has been the case throughout the By The Bayou series. Ian Saddler has dug deeper than previous compilers. This has paid off. Now the By The Bayou series is one of Ace Records’ longest running and most successful series. Bluesin’ By The Bayou-I’m Not Jivin’ was the thirteenth instalment in the series. It’s one of the best in series. If Ian Saddler continues to find music of the quality of that on Bluesin’ By The Bayou-I’m Not Jivin’, then the By The Bayou series looks like it’ll run and run. 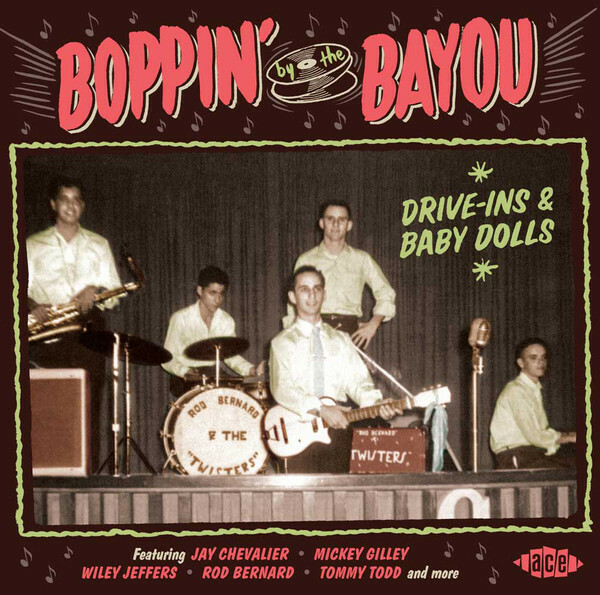 Boppin’ By The Bayou-Drive-Ins and Baby Dolls was the sixteenth volume in the By The Bayou series. Ian Saddler dug deep for the twenty-eight tracks. They’re taken from the vaults of some of Louisiana and South-East Texas’ best known producers. This includes some familiar faces, including J.D. Miller, Eddie Shuler, Sam Montel, Huey Meaux, and Joe Ruffino. Then there’s Pappy Daily, George Khoury, Diamond Jim Wheeler and Melvin Dodge. In their vaults, Ian Saddler’s discovered what’s been described as: “hot rockers, cool boppers and Cajun thumpers.“ They come courtesy of a mixture of old friends, familiar faces and new names. Among them, are Cookie Roberts, Fred Carter, Joe Jackson, Burl Boykin, Frankie Lowery, Zoro and The Zips, Doug Stanford, Terry Clement and Johnny Bass. They’re joined by Arnold Broussard, Tommy Todd, Rod Bernard and Jay Chevalier on what’s the sixteen instalment of the By The Bayou series, Boppin’ By The Bayou-Drive-Ins and Baby Dolls. As usual, the emphasis was on quality on this welcome addition to By The Bayou series. Ian Saddler dug deep in Louisiana and South-East Texas. He found hidden gems, which sit side-by-side with songs from familiar faces and new names. This includes singles, B-Sides and unreleased tracks. That’s not forgetting “hot rockers, cool boppers and Cajun thumpers.” They’re part of compilation that’s all killer and no filler, Boppin’ By The Bayou-Drive-Ins and Baby Dolls. California Soul-Funk and Soul From The Golden State 1967-1976. The period between 1967 and 1976 was a golden age for soul and funk. Across America smaller labels were releasing singles that slipped under the musical radar. In California, Ace, Dore, Hill, Kent, Mesa, Money, Music City, Omnivore and Watts Way were just a few of the West Coast labels that were releasing soul and funk between 1967 and 1976. Songs from each of these labels featured on BGP’s twenty-two track compilation, California Soul-Funk and Soul From The Golden State 1967-1976. Among the artists on California Soul-Funk and Soul From The Golden State 1967-1976, are Choice Of Colours, Brenda George, Z.Z. Hill, Little Johnny Hamilton and The Soul Pack, Chucky Thurmon,The Soul Sensations, Eddie Horan, Alvin Robinson and Rulie Garcia. They’re a reminder of the soul and funk being released on West Coast between 1967 and 1976. 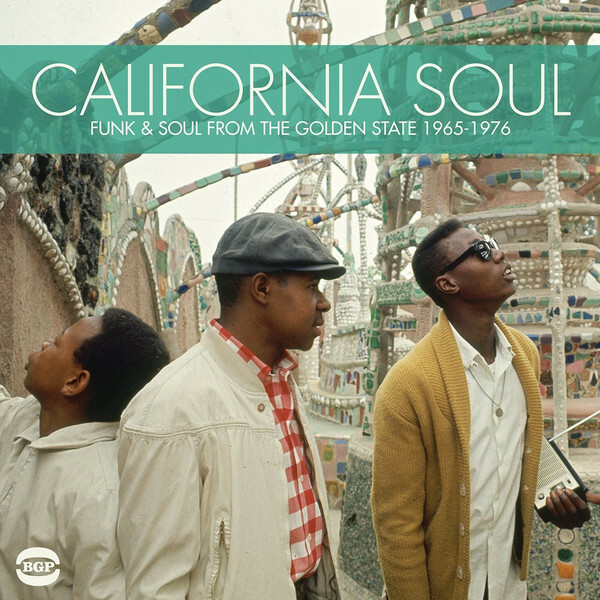 California Soul-Funk and Soul From The Golden State 1967-1976 is a compilation that oozes quality where the music is soulful and funky and sometimes, bluesy. It’ll appeal to anyone with an interest in soul or funk. They’ll find a compilation where familiar faces sit side-by-side with new names. Similarly, a trio of unreleased tracks rub shoulders with hidden gems on California Soul-Funk and Soul From The Golden State 1967-1976. It’s a tantalising reminder of what was a golden age for soul and funk in California. 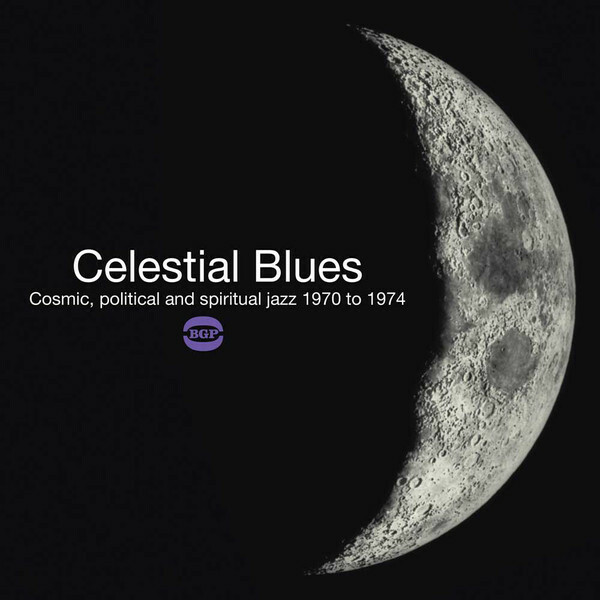 Celestial Blues-Cosmic, Political and Spiritual Jazz 1970 To 1974. Although the word innovator is often overused, it’s the perfect description of Gary Bartz NTU Troop, Azar Lawrence, Charles Earland, Roy Brooks, Joe Chambers, Carlos Garnett, Hampton Hawes and Oliver Nelson. They’re pioneers who pushed musical boundaries to their limits. That is apparent throughout Celestial Blues-Cosmic, Political and Spiritual Jazz 1970 To 1974 which was released by BGP. Each track on Celestial Blues-Cosmic, Political and Spiritual Jazz 1970 To 1974 is an examples of groundbreaking spiritual jazz. Its building blocks were the music of the post bop era, and the free jazz of John Coltrane. To that, boogaloo beats were combined with elements of funk, rock and soul and even African and Middle Eastern influences. When this was combined, it was potent and heady brew, that became known as spiritual jazz. This new music was inventive and innovative. It was also way ahead of its time; and far removed from the music that other jazz musicians were making. It was also very different to the music most record buyers were used to, and it passed them by. Most record buyers didn’t understand this cerebral, groundbreaking music. It went over their head. Only a small, discerning group of record buyers “got” spiritual jazz. Nowadays, a new generation of record buyers have discovered the delights of spiritual jazz. For newcomers to the genre, Celestial Blues-Cosmic, Political and Spiritual Jazz 1970 To 1974 is the perfect starting place. After a seven year absence, Ace Records released the latest instalment in their Chartbusters USA series. This was Chartbusters USA-Special Country Edition. It features twenty-four tracks released between 1963 and 1969. This includes songs from country music royalty. There’s no bigger names than George Jones, Hank Williams Jr, Johnny Cash and Glen Campbell. That is not forgetting Marty Robbins, Tammy Wynette, Eddy Arnold, Chet Atkins, Jeannie C. Riley and Buck Owens. These songs are just a few of the artists on a compilation that contains hits aplenty. 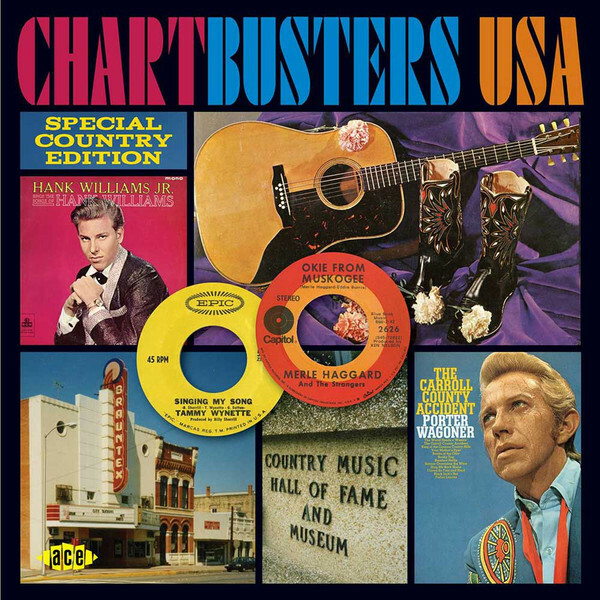 Chartbusters USA-Special Country Edition is a snapshot of country music between 1963 and 1969. During this period, the Nashville Sound peaked in popularity and countrypolitan sound began to take centre-stage. Country music also began to crossover and reach a new audience. Each of the songs that feature on Chartbusters USA-Special Country Edition crossover to some extent. Most were just minor crossover hits. A few became huge crossover hits. However, as the sixties gave way to the seventies, country music’s crossover appeal grew. Many of the artists on Chartbusters USA-Special Country Edition would go on to enjoy commercial success throughout the seventies. Country music’s crossover appeal grew, with more and more country singers reaching the upper reaches of the US Billboard 100. Belatedly, country music was reaching a wider audience. A reminder of this period can be found on Chartbusters USA-Special Country Edition, who features a who’s who of country music. Pyramid Records was founded by Robin Page, around 1972 and was in existence until just 1976. During that period, Pyramid Records only ever released fifteen albums. No more than 50-100 copies of each album was released. These releases were either given away to friends, with the remainder sold in clubs or art galleries. Pyramid Records was never going to rivalled Brain Records nor Ohr. Nor was never meant to. Instead, Pyramid Records was a small, private label that released music its founder Robin Page believed. A reminder of the music Pyramid Records released can be found on Cologne Curiosities-The Unknown Krautrock Underground 1972-1976m which was released by Mental Experience, an imprint of Guerssen Records. It features seven tracks from the Pyramid Records’ vaults. They’ll whet the listener’s appetite for future reissues of albums released by Pyramid Records. No wonder. Pyramid Record released groundbreaking music. Sadly, Pyramid Records doesn’t receive the credit it deserves. That’s because of mythology that surrounds the label. Maybe the music would receive the credit it deserved if the real identity of some of the musicians involved was known? 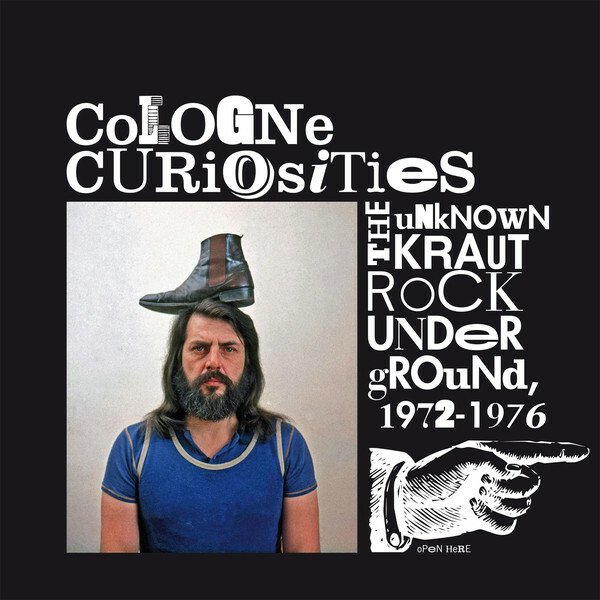 There’s every chance that some well known musicians played on Pyramid Records’ releases, including those on Cologne Curiosities-The Unknown Krautrock Underground 1972-1976. Regardless of whether that’s the case or not, the music on Cologne Curiosities-The Unknown Krautrock Underground 1972-1976 is still innovative, inventive, timeless and will influence another generation of musicians. ← THE BEST COMPILATIONS OF 2016-PART 2.